Squish. What an incredibly fun moniker for an artisanal candy shop selling fabulously flavourful specialty treats. Deliciously yummy gummies are the confectioner’s raison d’être, available in all kinds of whimsical shapes and over 100 gourmet flavours. Launched in Montreal, the company has several retail locations across Canada in addition to an on-line store that’s become an ordering go-to for event sweet tables and takeaway favours. 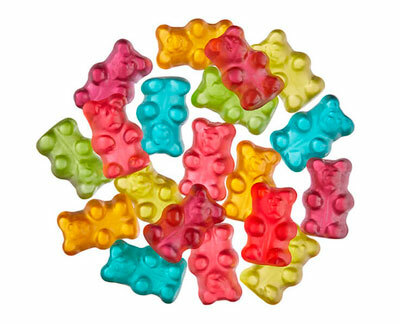 Stars, rainbows, flowers, seasonal icons and, of course, bears, are just a tip of the gummies “personality” iceberg. Flavours range from traditionally fruity to uniquely intense. There are even boozy infusions and taste-bud titillations like chai or spicy chili pepper. Real fruit, spices and herbs go into making the candy, which also offers dietary choices such as vegan, vegetarian, dairy free, zero artificial colours-flavours, and more. In addition to filling bulk orders, the company also has custom labelling for cello packaging and a few fun corporate gift options. Squish supports corporate social responsibility both from within its company and by selecting a “Candy of the Season” that sees a percentage of order profits donated to a chosen charity.